It’s been a while since I received this from the BDJBox Beauty Soiree, but I’d like to show you this interesting polish. This is Revlon Parfumerie, a recently released line from Revlon which claims that it is a scented nail polish. Basically what that means is, once the polish dries on your nails the scent will be released. If you sniff the actual polish, it will just smell like regular nail polish. 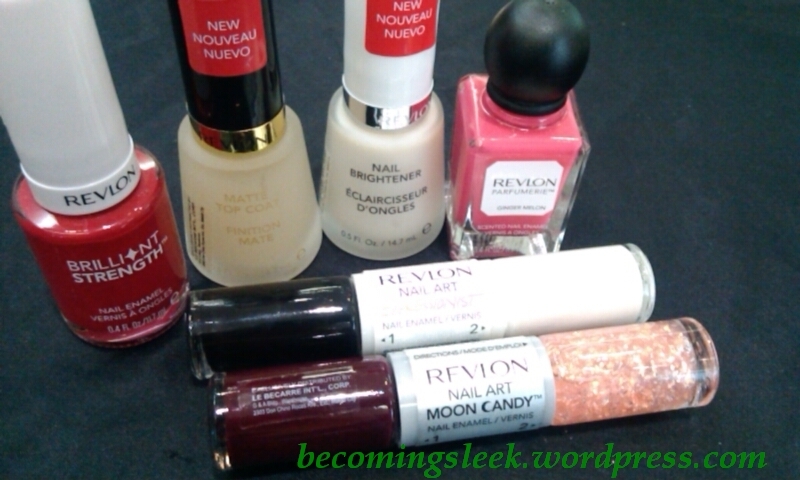 The bottle is also different than the usual Revlon bottles – it is a squarish bottle with a round cap/brush handle. The scent/shade I got is Ginger Melon. 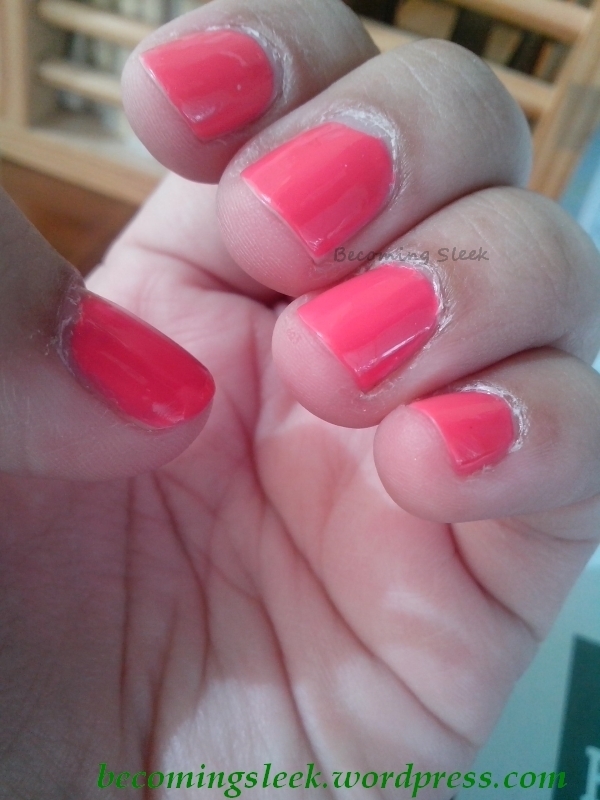 It is a bright neon pink on the nail. Please excuse my really dry cuticles. How does it smell like? To me it reminds me of those hard candies of our childhood, those ones that are really sweet and takes forever to finish. It does not remind me at all of ginger or melon. How long does the scent last? During the first day the scent was really strong and it seemed like I dipped my fingers in crushed candy. On the second to fourth day, the strong scent virtually disappeared, but I could still smell it if I pressed my nails against my nostrils. Fifth day onward it only has a bare whiff of the original scent. Also please excuse the chipping on my middle finger. Kinutkot ko kasi. In conclusion, I am really more in love with the color more than the scent. I don’t think I am a huge fan of scented polish, but I think it’s better than smelling like nail polish, you know? Basta. Revlon Parfumerie is available or soon to be available at Revlon counters. Revlon is not cruelty-free. I agree! The bottles are so cute! I love that bottle! I probably wouldn’t throw it away even if the contents emptied out or got dried up. And likewise, I’ve tried scented polish. It just made me feel like I had candy under my nails and couldn’t resist washing my hands! I’ve never finished a bottle yet, even the minis! How should I go about cleaning a dried up bottle? Is this where I’d need pure acetone? 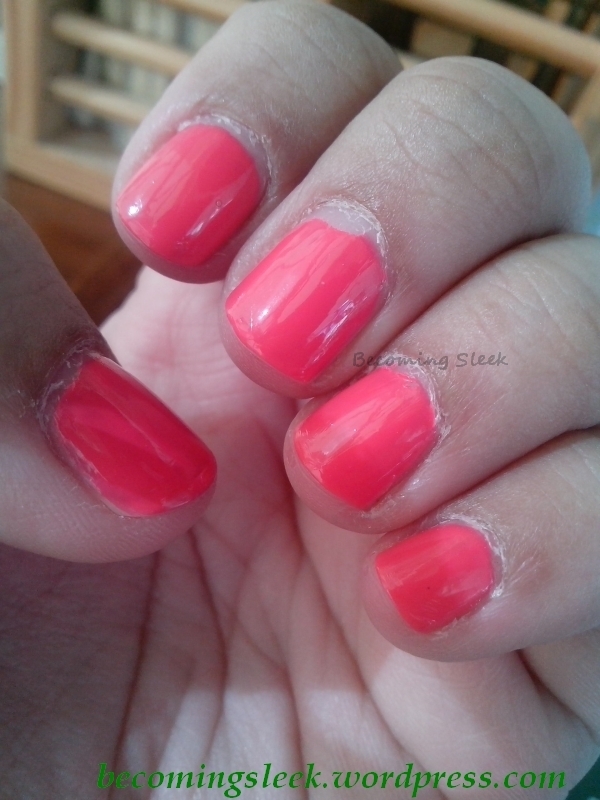 I’ve not done this myself but in my chemical-thinking mode, it makes more sense to use polish thinner rather than acetone. If there’s still a thick layer remaining, I think the acetone could harden the bottom of it. Again, don’t know if it’s feasible but thinner just sounds more doable! Awesome! I’m gonna try this with the dried-up minis I have! Hahaha, kutkutera din ako! The emerald green one caught my attention. Oooh I love green! Hopefully it has a different scent, but I suspect all of them would smell like candy.